Increasing numbers of lenders are trying to entice cash-strapped first-time buyers with free mortgage valuation surveys. But relying on this basic report without having a full survey done could be an expensive mistake. The number of residential mortgage deals being offered with free or refunded valuations has risen 15% over the past year, from 2,906 in March 2018 to 3,338 now, according to Moneyfacts. But while this means a welcome saving of up to £1,500, first-time buyers shouldn’t rely on a valuation to confirm the condition of the property. We take a closer look at the rise of free mortgage valuations, and explain why you should also have an independent survey done before exchanging on a property. If you’re looking for a mortgage and want help selecting the best deal for your circumstances, call Which? Mortgage Advisers on 0800 197 8461 or fill out the form at the end of the article for a callback. A mortgage valuation involves a basic check that the property is worth roughly what you’ve offered to pay for it, and exists purely for your mortgage lender’s benefit. The cost of a mortgage valuation is based on the value and size of the property, and could be anywhere between £150 and £1,500 – so a free valuation can represent a significant saving on the cost of your mortgage. Free valuations used to be much more common with remortgage deals, but many first-time-buyer mortgages now also offer this feature, including deals from Barclays and Santander. What does a mortgage valuation involve? Mortgage valuations are often described as ‘valuation surveys’, leading some people to confuse them with proper house surveys. However, they are actually very different things. To conduct a valuation, mortgage lenders will often send a surveyor to visit the property to compile a short report. But they will sometimes value your property using recent sales data from the comfort of their computer, or simply by driving past the outside of the property. For this reason, a mortgage valuation is nowhere near comprehensive enough to take the place of a proper house survey. We would always recommend commissioning your own independent survey once you’ve had an offer accepted. David Blake from Which? Mortgage Advisers said: ‘While incentives offered by lenders such as a free basic valuation look appealing, it’s important to understand what such a valuation actually entails. Why should you pay extra for an independent survey? Most lenders will clearly warn homebuyers that a mortgage valuation is limited and won’t meet the same standards as a survey; however, it can be easy to assume you’re getting what you need. David Blake said: ‘When spending so much, it’s vitally important to understand if there are any underlying issues with a property. ‘In most cases, a basic valuation may not be suitable, especially for older properties or properties in poor condition. What type of house survey should you get? When you’re already laying down a lot of money for mortgage fees, stamp duty and conveyancing, a survey can seem like an extra expense that’s worth cutting. But the initial outlay can save you thousands in the long run, especially if the survey picks up major problems. And whether the results are positive or not, they will help you decide whether to go ahead with the purchase, and whether to ask the seller to fix any problems or reduce the price. There’s a range of survey types to choose from, and the one you should go for will largely depend on the type of home you’re buying, its age and its condition. Condition report £400-£950 Relatively new properties without any obvious problems – you’ll just get a basic overview of the property’s condition. 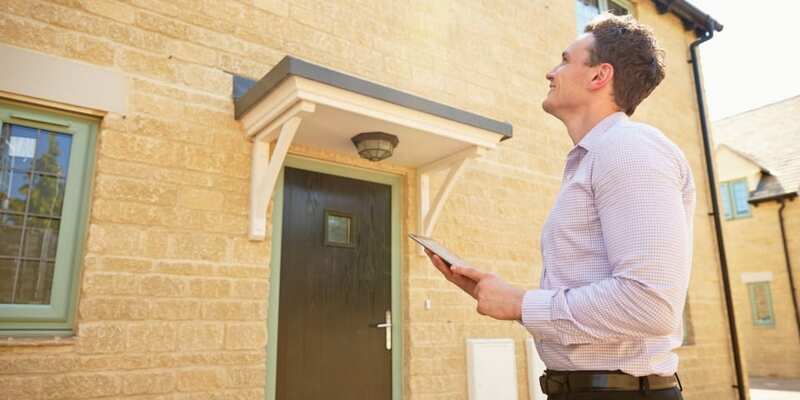 Homebuyer’s report/Home condition survey £450-£1,000 Most properties in reasonable condition – you’ll get details of surface-level problems such as damp and subsidence, advice on repairs/maintenance, and sometimes a valuation and rebuild cost. Building/structural survey £600-£1,500 Older (50+ years) or unusual properties/somewhere you’re planning to renovate – the report will analyse the structure and condition of the property and advise on repairs/maintenance. Snagging survey £300-£600 New-build properties – a snagging survey will check for everything from minor problems with the finish to deeper, structural issues. If you’ve spotted a deal offering a free valuation and you’re trying to understand whether it works out cheaper than a different mortgage, or simply want some advice on the mortgage application process, a mortgage adviser can help. For a free chat with an independent expert, call Which? Mortgage Advisers on 0800 197 8461 or fill in the form below for a callback.